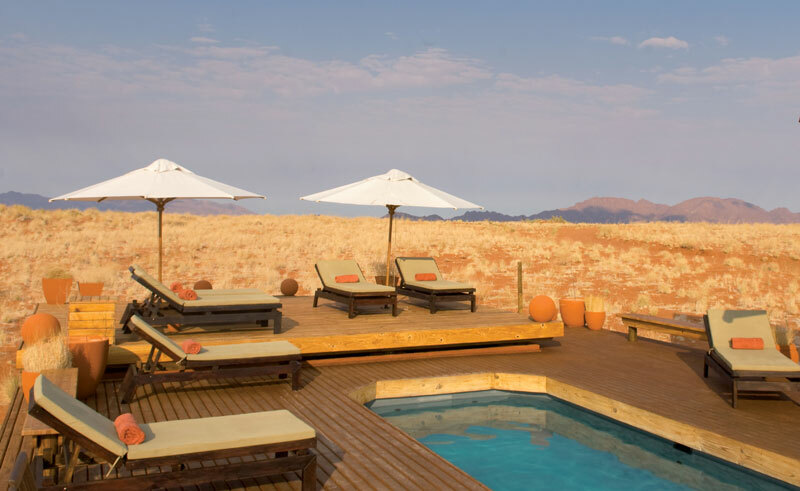 Located in the picturesque NamibRand Nature Reserve, Wolwedans Dunes Lodge is perched on the top of a dune plateau and boasts panoramic views in all directions. 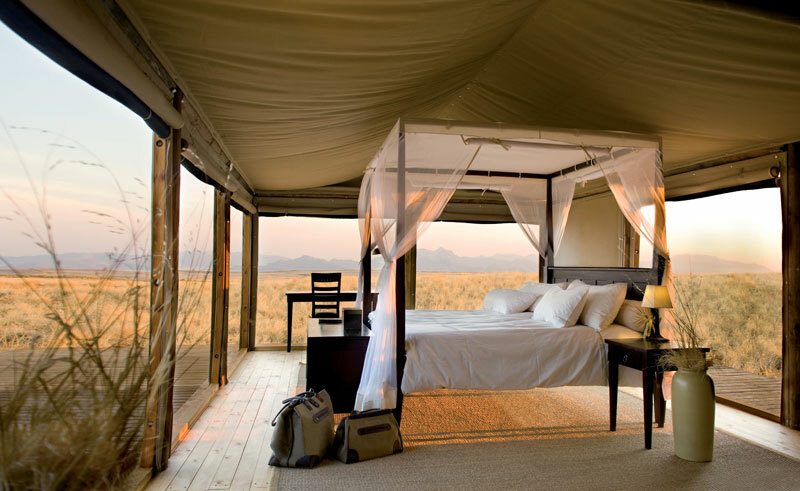 There are nine spacious suites, each with a private verandah with magnificent views of vast stretches of untouched sand. The suites are a combination of wooden structures and canvas blinds; sleeping with your canvas blinds open feels just like sleeping under the stars. 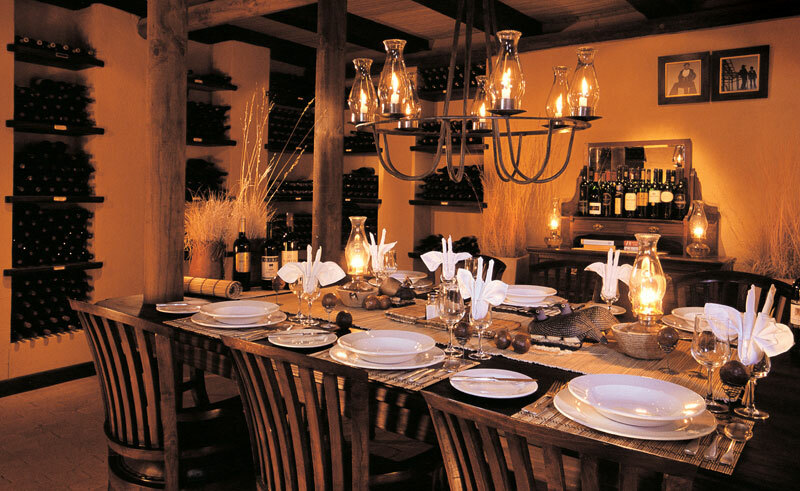 The main complex consists of two lounges, a number of sundowner decks, a fireplace and two dining rooms. Meals are served either communally or privately. All the communal areas of the lodge open out onto decks which boast spectacular desert vistas. The lodge also has a swimming pool which is suspended above the sand. Activities are included in your stay here. 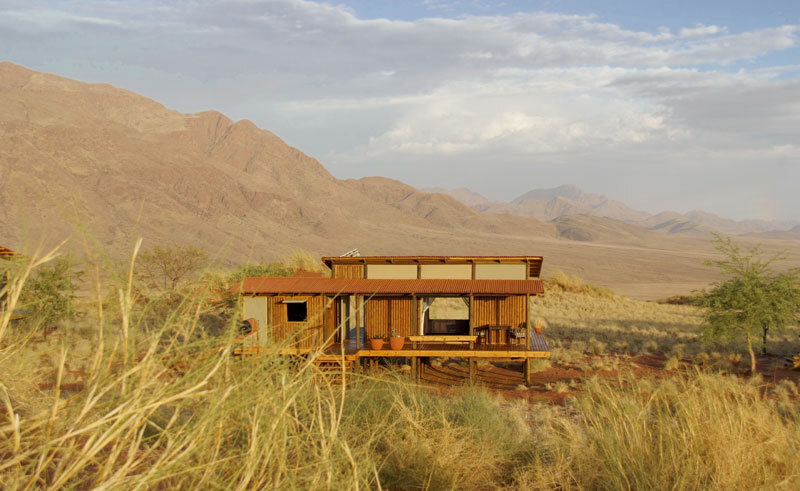 There are many options to choose from and Wolwedans’ experienced guides will introduce you to the diverse flora and fauna of the NamibRand Nature Reserve on game drives and by foot. A variety of drives, from sundowner to full day excursions are available with hugely experienced guides. 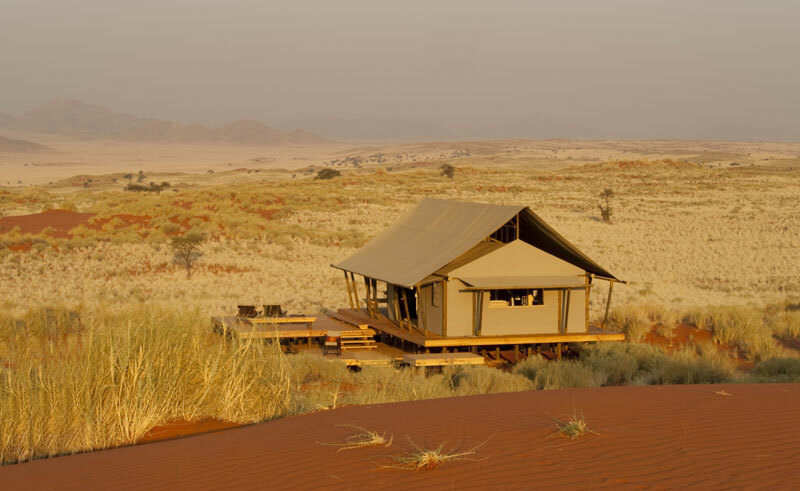 They will bring the NamibRand to life for you and show you the very best that this landscape has to offer. Float over dune belts and never ending plains with the very best view imaginable. After an hour’s flight you will land in the desert for a champagne breakfast – what a way to start the day! Revel in the open spaces of the NamibRand Nature Reserve on horseback. With a variety of rides available for all levels of rider this is perfect way to explore this stunning landscape.